11-13 Jan St Albans Life on Earth? CA Annual Conference at All Saints Pastoral Centre, London Colney, nr St. Albans. Speakers will include someone from Kenya, where drought is already destroying life on a large scale. Others will be Ann Pettifor (Operation Noah), George Gelber (CAFOD), Mark Dowd (Channel 4) and Daleep Mukarji (Christian Aid). The event is being organised by the new Devon Christian Climate Change Coalition which brings together different agencies to work together on this vital topic. - young people's activities, film, poetry, music, dance, art, market place, worship and refreshments. Its emphasis will be on urgent action and the need to both campaign and change. bookings@redcliffe.org.uk or phone 01452 308097. 14.30- 16.30 An Overview of the UN Climate Change Conference in Bali. Do you want to know more about the debates and discussions held in Bali in December? This event gives an opportunity to hear from Sean McDonagh, a Columban Priest and former Chair of Greenpeace Ireland who attended the Conference. khousefcj@hotmail.com or ring 0161 708 9744. Suggested donation £15. Tea/coffee included but please bring your own lunch. 9 Feb Bristol Forthcoming ECCR South-West Group launch meeting, Bristol - ECCR members, Board and secretariat invite you to a meeting to discuss the launch of ECCR's South-West Group to engage with companies that have South-West links and ways to promote social investment in the South-West. The meeting takes place from 11 am to 4 pm at Woodlands Christian Centre, Clifton, Bristol. University of Exeter, map Speaker: Professor Ernst Conradie, University of the Western Cape, South Africa. Professor Conradie is is visiting the University of Exeter as part of a project in the Dept of Theology on Uses of the Bible in Environmental Ethics, funded by the Arts and Humanities Council of the UK. Milton Keynes Christian Environment Group The theme for our next meeting will be Holidays and Tourism. We'll be looking at some of the ways in which overseas holidays can cause environmental damage and exploitation of those who live in the places we visit. We'll give you guidance on the best way to book rail travel in Europe. We'll have a light-hearted travel quiz. There will also be ample time to browse through a wide range of brochures featuring responsible and eco-friendly travel opportunities. Refreshments provided. It promises to be a great evening! The evening starts at 7.30pm at Loughton Baptist Church, Milton Keynes. Christians Together on Climate Change in Reading is an exciting day conference (9:30 am to 4:00 pm) at Greyfriars Church in Reading, designed to help Christians make a difference on climate issues. Registration is essential, as interest is expected to be high, and the last such event was oversubscribed. The cost is £5, payable on the day. Christians in Science (Ireland) is holding a one-day conference entited "Ireland and Global Warming" on 16th February 2008 in the Spires Conference Centre, Belfast. speakers Prof. Sir John Houghton FRS , Former Chair/Co-chair of the Scientific Assessment Working Group of the Intergovernmental Panel on Climate Change and President of the John Ray Initiative "Global warming: a global emergency"
"Global warming: its impact on Ireland" Prof. Bob White FRS Associate Director of the Faraday Institute for Science and Religion and Professor of Geophysics, Cambridge University "Global warming: a Christian response"
"Hope for Planet Earth" - a multi-media national tour exploring the effects of climate change. 18-14 March 08. www.hopeforplanetearth.co.uk experts from A Rocha, JRI, Share Jesus International (started by the late Dr. Rob Frost, etc.) Adult tickets £6. Celebrate the things that bring people together, explore our connections with the natural world and take action together to protect our fragile planet. Is there a global ethic that all the faiths can agree on? Where? Hollowford Centre, Castleton, in beautiful Derbyshire. When? 22 – 24 February 2008 What? A conference exploring interconnectedness in a global community, with speakers, workshops, small group activities, prayer and worship. Workshops on climate change, faiths and the environment, interconnected knitting(! ), Celtic spirituality and more.. Who? The weekend is open to students and recent graduates of all faiths and none (18+), and also to anyone involved in Further or Higher Education chaplaincy. Fairtrade Fortnight event: Panel discussion/debate: 'What's the Point of Fairtrade? 'What is Fairtrade really all about? Is it a niche ethical sector to sooth the consciences of rich consumers, or does it empower those who help to produce the wealth we enjoy? Does Fairtrade represent an increasingly powerful challenge to the prevailing international trading structure? Or is it actually postponing real systemic change? Our panel, including two cocoa farmers visiting from Ghana, will take part in an open discussion on these issues. All are welcome. The Title: "From Fair Trade to Trade Justice"
A Fair Trade Evening - Organised by the Justice and Peace Group, at Our Lady's church, Welwyn Garden City, Herts AL7 3TP and to be held in the church and parish hall. Mass, at 7.00 pm - 7.30pm, a reception and film show in the Family Centre, next to the church. Also a guest speaker and stalls, selling Fair Trade products and providing Fair Trade information.and music, a raffle and free refreshments . All are welcome to attend and further information is available from justiceandpeace@rcdow.org.uk or tel' 01707 327771 . Fair Trade Fortnight is February 25 th - March 9 th . Come and celebrate with us! a keynote talk from Graham Cray, Bishop of Maidstone and Chairman of the Soul Survivor Trust. Go Green Day Sandwich Deanery Church in Society group's Go Green Day in and around Sandwich Guildhall. Speakers include: environmental journalist Donnachadh McCarthy and Shaun Cline. The event will be opened by MP Stephen Ladyman. Honda will be showcasing their environmentally friendly car; the Green Energy Machine from the National Energy Foundation will also be on display. 10.00am start.and will finish at around 3.30 to 4.00pm after a plenary/question time session from 2.30pm . Sainsbury are providing a “green hamper” for the prize draw and local schools and colleges are also involved. 8-15 March Poole Harbour Becoming Human- Holton Lee Accessible Retreat -This is your chance to come closer to God while enjoying the peaceful surroundings of of our 350 acre estate overlooking the shores of Poole Harbour. 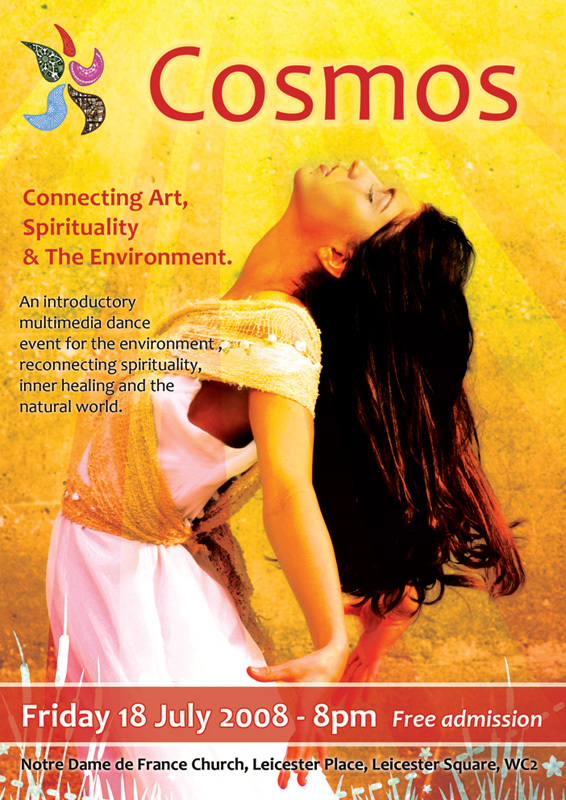 Come and explore th the human and the divine through Arts, the Environment and Christian spirituality. Morning meditation and evening Taize prayers. Disabled people are welcome. Sacred walk and labyrinth workshop, plus clay workshop with renowned theological artist, Sophie Hacker. For more details about residential and non-residential places, please email pgs@holtonlee.co.uk or call 01202 631063 / The grounds include reedbed, heathland and woodland. and community outreach. For Christians of all denominations. Free event. 12-14 March 2008 Swanwick, Churches Rural Group (CRG) Conference at Swanwick Theme: 'A Sustainable Countryside - Whose Responsibility?' Speakers to include Sir Don Curry & Bishop Alan Smith of Shrewsbury. Programme include a dozen workshops. Speakers include: Dr. Edward Echlin, (Theologian and environmentalist); Michael Meacher MP; Carol Naughton: (WMD Awareness project), Mark Dowd (Operation Noah). Ellen Teague, (Chair Board Social Responsibility) facilitating and welcome from the Lord Mayor: Cllr. John Tanner. Workshops; Operation Noah, Christian Ecology Link, Fellowship of Reconciliation, Peace Education, run by agencies, campaigning groups, charities, cultural and religious groups on what people can do to make a difference. Stalls from interested agencies and groups, to include environmental impact, uranium mining, sustainability in Oxford , development, campaigning groups and aid agencies. All welcome - admission free. Sponsored jointly by Christian Campaign for Nuclear Disarmament, Christian Ecology Link, Fellowship of Reconciliation and Pax Christi. 31 March Taunton Taunton as a Transition Town at 7.30 in Silver Street Baptist Church. All are welcome. 1:05pm - 1:55pm, St Mary-le-Bow, Cheapside EC2V 6AU -JUST SHARE event - 'Fool's Gold: Can Financial Services Undo Climate Chaos?' - Speakers: Chris Goodall, Author of How to Life a Low-Carbon Life, and Alexis Krajeski, Associate Director, Governance and Sustainable Investment, F&C Management Ltd. Chair: CLaire Foster, Environmental Adviser. Sat 5 April London Our Faiths, our Environment, Our Planet - 12.15-4.30pm, St Saviours, Walton Street, London SW3 (near Knightsbridge Underground) . The Conservation Foundation, London 21 and the Faiths Forum for London invite anyone active on environmental issues with faith organisations to come and discuss ways to work together on issues such as climate change, shrinking our footprints, food and consumerism. This event builds on a meeting hosted by the Conservation Foundation and London 21 sustainability network during London Sustainability Weeks 2007. It is open to people from all faiths and backgrounds, but please reserve a place in advance. The event is supported by the City Bridge Trust. To book a place or for more information (including booking form) contact Jan McHarry Email: jmcharry@poptel.org.uk or Tel: 0208 806 3299. Sun 6 April Clifton, Bristol Dawn Chorus & Owl Prowl Spring Has Sprung - Let’s Explore Pioneering ecological campaigner and BBC Natural History TV producer Mary Colwell leads us on a series of nature walks around her parish church, Clifton Cathedral. Throughout the day we’ll have the fantastic opportunity to hear from Mary’s friends and colleagues from the BBC Natural History Unit, as they present nature talks and walks exploring our local environment. Top naturalists from across the country will come together at the Cathedral to help us discover our local area’s rich ecology. Everyone’s welcome. Open to all ages. 8 April Truro Multi-Faith meeting of the book club; it will be the 8 th April 2008. at the Diocesan House at 7pm. Anyone wishing to order a book please email Jill Edwards It wiil be a discussion of the book "A Moral Climate" by Michael Northcott. Transition towns are a fast growing, grass roots, community led movement, aiming to provide a positive vision and solutions for global warming, diminishing resources, loss of biodiversity, social inequalities and irresponsible leadership. Oliver Dudok van Heel of 'Living Values' works with international companies as a consultant on business and sustainability. He is a member of the group in Transition Town Lewes liaising with businesses in the town. Come and meet with green Christians from varied backgrounds - at 7.45pm - Find out more about our campaigns: - Operation Noah, Climate Change, LOAF, EcoTeams, EcoCongregations, Wildlife, Biodiversity, Tree Planting, Mobile Phone Masts. Energy Efficiency, Transport. St George's Day. Garth Hewitt writes an article about St George ( The patron saint of England, is, George of Lydda in Palestine.) ...". The Green one. The third important point is that Al-Khader, or "the green one", reminds us that St George has a particular ecological commitment. He was known as "the protector of the trees" as well as "the healer". He is seen as protector of the environment - so the green link gives St George a particular relevance in our time as we face the challenge of global warming. So with St George we can address the issues of the "dragon" or "empire" within our own time, he is the protector of the environment and the "green one", he has an interfaith relevance, he is healer of the community and a very prophetic and hopeful patron saint. NB (Ed:)St Georges Mushrooms (edible) Calocybe gambosa may be out by 23 April, but don't usually appear in the north of England till May or even June. Rogation-tide is traditionally the time for 'beating the bounds' - walking around the boundaries of the parish and asking for God's blessing on the fields, the woodlands, the growing crops, the animals and the work of our hands. It used also to be a way of identifying and honouring 'this place' as 'home' and a celebration of the network of relationships of which we were a part...We'll be looking at the particular nineteen acres of Hilfield Friary and what they can show us, and - oh, yes - we'll be beating the bounds! 7.30pm Are Your Meals Costing the Earth? 6pm Taizé Service for the environment. 7.30pm Can We Save What is Left? Caring for God’s creation: a biblical perspective - Elaine Storkey, Theologian and broadcaster, Dave Bookless, National Director of Christian Nature Conservation Organisation A Rocha. JUSTSHARE MAY DAY EVENT 2008 - 'Forgive Us Our Debts...' -Friday 2nd May 2008, 1pm at the Royal Exchange. With Ann Pettifor and Larry Elliott - Come and join JustShare, Ann Pettifor (Advocacy International and Operation Noah, previously Jubilee 2000), Larry Elliott (The Guardian) and a number of development agencies on the steps of the Royal Exchange on Friday 2nd May, 12 noon - 2pm, to raise awareness within the City of the Debt Crisis in the developing world. This is an excellent opportunity to learn more about third world debt, the credit crunch in the UK and what you should be doing about it. Children's performance: 'Tree of Life' - 6pm Taizé Service for the environment. 5 May Primrose Hill North London DEBATE II: Conservation and Self-Discipline 7.30pm Can We Save What is Left? followed by refreshments - Speakers include Aubrey Meyer (Global Commons Institute), Deepak Rughani (Biofuelswatch), Martin Palmer (Alliance of Religions and Conservation) and Martin Harper (RSPB). 6 May Primrose Hill North London Focus on Indonesia, day of fasting and prayer. Preacher: The Right Reverend Richard Chartres, Bishop of London. 9-10 May London The Big Heat Swing Dance Christian Aid Pentecost Event. Five piece band, Sam Chaplin and the Jazzbomb , will be rocking the joint. Fresh out of college, they are among the best jazz musicians of their generation. Includes a special 'intermission discussion' about climate change. 10 May Oxford The Operation Noah AGM will begin at 12.30 p.m. on 10th May at Saints Mary and John Church, Cowley Road, Oxford (OX4 1UR - see map and "how to get there"), with welcome snacks and drinks, and a viewing of 'God is Green'. David Wasdell, who is the director of the Meridian Programme and has both a scientific and theological background, and Ruth Jarman, a member of the steering committee of Christian Ecology Link, will now both make presentations to the meeting. - Operation Noah is being constituted as an independent charity, and this is its first AGM. 18-24 May UK National Ethical Investment Week, Organised by the UK Social Investment Forum (UKSIF – www.uksif.org), the first ever National Ethical Investment Week (NEIW) aims to highlight the benefits of green and ethical investment. It will be held throughout the UK, running 18-24 May 2008. With involvement from the financial services industry, non-governmental organisations, community and faith-based organisations, NEIW will encourage consumers to reflect on the social and environmental impact of their financial choices and consider a green and ethical investment option. More information available at www.neiw.org or contact Julia Blair: j ulia.blair@uksif.org , tel. 020 7749 9956. 20 May Cheapside London NEXT JUSTSHARE DEBATE - FOR NATIONAL ETHICAL INVESTMENT WEEK ( www.neiw.org ) 1:05pm - 1:55pm - Kindly sponsored by CCLA Investment Management Ltd; to be held at CCLA's offices, 7th Floor, 80 Cheapside, London EC2V 6DZ - 'Ethical Investment: What's Behind It?' More details coming soon. All welcome. Email justshare@stmarylebow.org.uk for more details. 24 May Oxford To celebrate the newly planted out Butterfly Garden, Ss Mary & John churchyard are throwing a community party on from 3pm onwards. There will be walks round the churchyard, activities for children, a plant and book-stall run by the Oxford Urban Wildlife Group, and refreshments. At 5pm there will be a special Evensong sung by the Wheatsheaf Consort. All welcome. 26-30 May Whitby 'Talents and Choices for our Future World', Christians Aware Summer School, Sneaton Castle, near Whitby, North Yorkshire. Workshop leaders include CEL's "ecocell" co-ordinator Pete Redwood. Cost £165 for full school. Individual days can be booked. 0116 254 0770. 1 June UK Planning has already started for Open Farm Sunday 2008 which will take place on either 1st June 2008 or Sunday 8 June 2008! For further information or to find out how to get involved with Open Farm Sunday 2008, contact the LEAF office on 02476 413911 or visit: www.farmsunday.org . Thurs 5 June Clifton, Bristol Saints & Sustainability - United Nations World Environment Day A lively evening at Clifton Cathedral exploring tales of Catholic saints who protected the environment. Radio and TV presenter Martin Palmer guides us through 2000 fascinating years of Christian engagement with our natural world, bringing to life amazing stories, legends and myths. Martin’s presentation leads up to Bishop Declan Lang launching the theological reflection produced by Gavin D’Costa, the University of Bristol ’s Professor in Christian Theology and Mary Colwell. Come World Environment Day 2008 you can access this beautifully-produced and much-needed summary of current theological thinking on the environment from www.soundofmanywaters.org. 7-9 June Hereford Herefordshire Earthwatch 2008: a climate change and environment weekend, 7-9 June, at the Kindle Centre (next to Asda), Hereford. Opening times: Saturday 10.30 - 5.00, Sunday 11.00 - 4.00, Monday 10.00 - 3.00. There will be an inter-faith stall, with input from the Hereford Christian Ecology Group, and a talk on 'Energy use and climate change' by Paul Mobbs (author of 'Energy Beyond Oil') at 2.30 on the Saturday. Free entry. the same name by Dave Bookless (published 15th Feb by IVP). 8 June UK Planning has already started for Open Farm Sunday 2008 which will take place on either 1st June 2008 or Sunday 8 June 2008! For further information or to find out how to get involved with Open Farm Sunday 2008, contact the LEAF office on 02476 413911 or visit: www.farmsunday.org . special Environment Sunday service at St. Denys, Stanford in the Vale , SN7 8HU where the whole Deanery of the White Horse will be invited. It will be possible to join the event at two points: 4.00 pm Caroline Steel will lead a walk from the church, and bring everyone back in time for a picnic in the churchyard. Please bring your own sandwiches and food. Drinks will be provided. 6.00 pm at St. Denys, Stanford . The evening service will be very informal, based around the theme of "Hope for Planet Earth". NOT to be missed!!! 8 June Lewknor, Oxford 4.00pm Chiltern Gateway Project will be holding an Environment Sunday service at St. Margaret's, Lewknor, OX49 5TH . The service will be based around the A Rocha Planetwise pack material. Tea and cakes. Thur 12 June London Heythrop Institute for Religion, Ethics & Public Life & Centre for Christianity and Inter-religious Dialogue, Heythrop College, University of London FAITHS IN CREATION AN INTER-FAITH CONFERENCE ON RELIGIONS AND CLIMATE CHANGE 0930 – 1630, Brinkman Room, Heythrop College, Kensington Square London W8 5HQ W What difference can religion make to the response to climate change and the depletion of natural resources? How can the major UK faiths, with their traditions of stewardship and justice, work together to motivate change? In 2007, the Faiths in Creation project set out to explore these questions through a series of inter-faith conversations. This conference invites a wider audience to join in developing our thinking on themes such as the place of humanity in creation, religious belief and security, religion and the economy as a tool for change, and models of religious leadership. The conference is free and open to all. Contact Mark Leonard on m.leonard@heythrop.ac.uk or 020 7795 4244 for more details. Creative Approaches to Climate Change! A Public Meeting in The Institute, New Road, Kirkby Lonsdale. from 2.30 pm. Free admission. Hear Tim Farron, MP on "What do local people want our government to be doing about climate change - now? What can we be doing ourselves?" Plus: Outdoor philosopher Kate Rawles (University of Cumbria) and her "Carbon Cycle" presentation - the story and images of her 4500 mile cycle ride through the United States - talking with people about climate change. Followed by open discussion and questions. Be there! - The church was built as a Chapel of Ease within Bramham parish. It was enlarged in the 1850s because of the number of people taking baths - up to 40 a day - at the slipper bath at the riverside. In addition a gallery was built to accommodate the poor. Today's church was completed by 1884. - An optional guided walk along the limestone woodland and cliffs of the River Wharfe which runs in a wide gorge adjacent to the churchyard will follow the Seminar. 28 June Central Reading 10 to 5pm, One-day workshop in practical aspects of nonviolent power and climate change. 'Turning the Tide' will run a participatory workshop about effective campaigning and group-working. Local host 'Reading Rising Tide' hopes the workshop will increase the community's interest in fighting the biggest crime of the millennium - The Theft of The Climate. Small donation appreciated, but don't let costs prohibit you from attending. Visit www.turning-the-tide.org to learn more about nonviolence for social change. 7 July Leeds Leeds Christian Ecology Link - Meet with Green Christians from varied backgrounds. Speaker: Mark Dowd from Operation Noah. 7.45pm St.Chad's Parish Hall, Otley Road, Far Headingley. 11 July Charlton near Andover Andover Area Christian Ecology Link invite you to an evening of information: Climate Change – why we should care & what we can do Introduced by Rev. Jill Bentall Speakers: Anton Page of climate change - the issue (TestValleyFriendsOfTheEarth) Rebecca Windwood on renewable resources (the environment centre) Time: 7.30pm Venue: St Thomas’ Community Hall, Charlton - A Hope 2008 event. 12 July Walton, Liverpool Faiths4Change 'Bee Happy' - - Walton Vicarage, Walton, Liverpool - 10am - 4pm. A free event. Lunch included - booking essential. Phone Helen Dawson to express an interest on 0151 705 2108. With the Honey Bee under threat, Faiths4Change is planning a training event looking at bee keeping, attracting bees and the health benefits of bee products, with a Liverpool based expert. All welcome. 15 July Hereford Hereford Christian Ecology Group: - a talk on Allotments in Hereford by Roy Harris, Chairman of the Hereford Allotment and Leisure Gardeners Society, at St John's Methodist Church, St Owen Street, Hereford HR1 2PR, 7.30 p.m.
18 July London Cosmos - Connecting Art, Spirituality and the Environment, It’s a multimedia dance for the environment, connecting art, spirituality and inner healing. Friday 18 th July at 8pm, Notre Dame de France church, Leicester Place (off Leicester Square ). Free admission. 18-20 July Hayes Conference Centre - Swanwick - Derbyshire The popular annual National Justice and Peace Conference from 18-20 July - organised this year in collaboration with Liverpool Catholic Archdiocese Justice and Peace Commission - still has a few places left. Bursaries may be available for families and young people wishing to attend. Taking the theme, 'Hear my people cry', the three-day conference will he held in Derbyshire 18-20 July. All are welcome. Details - The conference will explore what it means to "live justly, love tenderly, and walk humbly with God". Fr Tom Cullinan, who has written many times on Creation Theology will lead reflections throughout the conference. Workshops include coverage of green issues such as climate change, extractive industries and simpler lifestyles. A walk with the Bishop of Clifton Right Reverend Declan Lang, Farooq Siddique of Bristol Muslim Cultural Society and Bristol Orthodox Rabbi Natan Levy over the Clifton Suspension Bridge to Emmaus House - home of the La Retraite Sisters. Organised by Mary Colwell who said, “We’ll be crossing the bridge as it is symbolic of bridging the divide. Then all gather at Emmaus House for tea and refreshments and a presentation from each faith leader on their approach to the environment, followed by questions and answers. “If people don’t want to meet for the walk at 2.00 pm, meet at Emmaus at 2.45 pm. All are welcome. on Sunday 27th of July arriving on Sunday 3rd of August. the organisers write: "People are very welcome to join us for part of the route, and we would also be grateful if people in the Richmond, Putney, Greenwich or Rochester areas were able to offer accommodation for walkers." World is a programme of the Council for World Mission European region. looking forward to it. CEL is booking a stall as usual. Are you planning to go, and would you be able to spend a couple of hours on the stall sometime during the four days? It's a good way of meeting other CEL members. If you are interested, please let Paul Bodenham know, without any commitment at all at this stage. Arbroath Old and Abbey Church in Arbroath, Scotland is having an eco weekend from August 28-31 with something for everyone. Friday, 28 th August - free public showing of the acclaimed Al Gore film, 'An Inconvenient Truth' . The film will be followed by a panel of MSPs and MPs debating the issue. This event will be chaired by Friends of the Earth executive, Duncan Mclaren and the panel includes John Swinney MSP, Andrew Welsh, Alex Johnstone MSP, Alison McInnes, Gavin McLellan from Christian Aid and Adrian Shaw (Church of Scotland Environment spokesperson). Saturday, from 11am to 4pm , will be the eco festival in the church halls, with stalls workshops etc. There will be a story corner for the kids and an opportunity to do some dancing with Showcase dancers. The play 'Another Kind of Silence' is about the author Rachel Carson who famously wrote Silent Spring, about the American chemical industry and it's effects on Nature, in 1962. It is a Full Circle production. It will take place a St James' United Reformed Church, the 1st Eco-Congregation in the Thames North Synod of the URC, on Saturday, 6th September The time is 19.30 and price £5 . Phone Steven for details on 020 8504 5325. A series of events happening this autumn which are primarily about campaigning, and climate change is a Christian Aid current central campaign. All events run from 10am-4pm. Lunch will be provided. Attendance is free, but we invite a donation of £5-10 from each adult attending. Or call 020 7523 2012 if you need to speak to us directly. Faith and sustainability through Scienc - A lecture by Prof Michael Daives. Venue: Liverpool Cathedral (Anglican) - Lady Chapel. Time- Time: 5.30pm . . This has been organised by the Bishop's office as part of the Festival of Science. All events run from 10am-4pm. Lunch will be provided. Attendance is free, but we invite a donation of £5-10 from each adult attending. For those who come for the day a suggested donation of £10 is requested. Please let us know by September 6 th if you would like to stay the night on September 13 th ; the cost will be £40 per person for 24 hours. The voice of Solidarity Livesimply Forum Day guest speaker will be Pius Ncube, former Archbishop of Bulawayo. He is a most inspiring speaker who can talk at first hand of solidarity between the Zimbabwean people in their time of struggle and of the value to Zimbabweans of the solidarity that we can show them from the UK. Susy Brouard of CAFOD will be talking about her recent workshop in Nigeria in which UK Adult Education advisors and local diocesan workers came together to learn from each other about living simply. Also, Louise Zanre of JRS will lead a discussion about the way in which we can show solidarity to refugees (many from Zimbabwe) who are in the UK. Come along with your ideas and learn from the ideas of others! The Forum Day is in the Jesuit Parish Hall, 114 Mount Street, London W1K 3AH from 10am to 4pm. Please email info@livesimply.org.uk to let us know if you are coming. 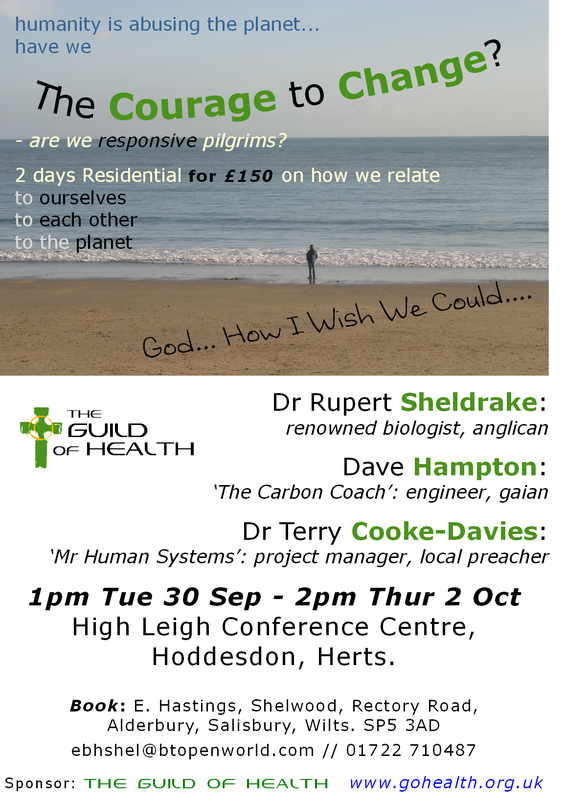 23 Sept London The Earth is the Lord's - so how should we live? 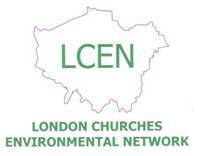 24 Sept London United Reformed Church House, London WC1H 9RT What can we as Christians bring to the climate change issue? How can you get your church involved? What is happening in the wider world? What campaign actions can you take? Find out the answers to these questions and much more from: Mark Dowd, Operation Noah Elie Ramsey, Christian Aid Benedict Southworth, World Development MovementPlease confirm place by emailing gill.hillman@urc.org.uk or tel. 02076919867 Lunch is provided. Climate Change - Truth or Swindle? Climate changes but why? Is it down to humans or part of the natural cycle? What's the truth? How can we know? What does a Christian worldview have to say about it? Who is swindling who? And what can we do? 27 Sept Hurst Green, Lancs Art Attack session - Youth Group - St John's Church. Hurst Green 10am-12. 29 Sept Leeds Leeds CEL meeting on Monday 29 September, 7.45pm, at St Chad's Parish Hall,Far Headingley,Leeds . Follow up session from July's visiting speaker Mark Dowd of Operation Noah and Channel Four Documentary God is Green. London Facilitation Training — Getting the best out of working with local communities. Dr Rupert Sheldrake: renowned biologist, Research Fellow of the Royal Society, Anglican, co-author with Matthew Fox, he studied with Bede Griffiths & will be sharing avant garde ideas about Creation. It is not a mere 'thing', but an organism that is alive, sacred and with whom we share some kind of consciousness. It is in all our interests to learn how to cherish and nurture this fundamental relationship. Dave Hampton MA (Cantab ): 'The Carbon Coach' is a chartered engineer, campaigner and consultant on climate change and responsible lifestyle. Dave will be giving down to earth do-able advice on how to help 'save the planet' and enhance our own enjoyment of life through less reliance on fossil fuel. A combination of bad policies towards agriculture, worsening global climate, use of food crops for biofuels and the steady increase in population are causing a drastic increase in food prices. What can we do to prevent greater world starvation? Diocesan Development Day - At The Cathedral Church of St Peter and St Paul Sheffield - Led by the Diocesan Environment Group - Creation Care and The Church - Key Note Speaker: Revd Dave Bookless Director of A Rocha UK and author of Planetwise. Diocesan Environment Group. RSVP to mking@stalbans.anglican.org or on 07963 196416 for directions and so we know how many to plan for. will be talks, presentations, drama by young people, interactive activities etc. The morning will be led by Revd David Osborne and the afternoon by Lorna Scott of Forum 21. It is hoped to feature environmental initiatives in displays around the venue, Minehead Methodist Church. 4 Oct Oxford 9.30am - 4.30pm. Churchyard Planting Day . Ss Mary & John churchyard will be planting more spring bulbs and other wildflowers, also weeding and making a start on the Autumn strimming. Please join them in managing the churchyard for wildlife and creating a quiet green space in East Oxford. Even an hour or two would be a help! Tools and light refreshments provided. Further details from Ruth Conway: 01865 723085. 4 Oct Bradford Leeds Diocesan Justice and Peace Commission and CAFOD Leeds invite you to: Reclain the Future. Our Call to Live sustainably. Main Speakers: Michael Edwards - CAFOD Climate Change Development Officer. Raymond Perrier - Head of CAFOD Communities Team .St Joseph's Catholic College, Cunliffe Road, Bradford, BD8 7AP . 11am - 4pm Bring Packed Lunch, drinks will be provided. 4 Oct Arundel Arundel Cathedral, 2.30pm, Ecumenical Blessing Service for Animals. Details from Meryl 01903 883945 or 767501. 4 Oct Salisbury, Wiltshire 3pm, Animal Blessing Service. St Grgory's Catholic Church, St Gregory's Avenue (off Wilton Road). 4 Oct North Harrow St John Fisher, 6pm, Animal Blessing Service. Imperial Drive. Details 020 8429 5684. 4 Oct Manchester Public meeting on Faith, Values and Business, Business influences almost every aspect of our lives, increasingly operates across national boundaries, and relies on our money via personal and faith community savings and investments to further its activities. How can we help ensure that companies operate according to our faith and ethical values? Join ECCR, Traidcraft, Oikocredit, Gaeia Partnership, Lancaster Diocesan Faith & Justice Commission and others to explore the issues. 2.00 - 4.30 p.m., Central Manchester Friends Meeting House­­, ­Mount Street, Manchester M2 5NS.helen.boothroyd@eccr.org.uk , 01325 580028. 4-5 Hurst Green, Lancs St John's Church, Hurst Green - Harvest Event including display of Youth "Art Attack" work. 5 Oct Doncaster, Yorkshire Animal blessing service at: Doncaster , Yorkshire, 3pm, St Peter in Chains, Chequer Road. Details 01302 342068. 5 Oct Park Gate, Hampshire, Animal blessing service at:3.30pm. St Margaret Mary, Middle Road. 5 Oct Wantage, Oxon Animal blessing service at: Wantage, Oxon, 3pm, St John Vianney. Details 01235 868516.
. Download poster as PDF (393Kb). Download flyer and application form as PDF (331Kb). Meditative Services: Faithful Scientists - 6pm Sunday evening services from 12 October to 2 November. We explore the connections between religious belief and science through the experiences of four leading scientists. The services, led by Canon Edmund Newell, will include music, readings, and conversations. 12 Oct Lewknor, Oxfordshire 2-4.30pm. LOAF Fair at St. Margaret's Church, Lewknor , Including dog show outside, and "Tending the Garden" Talk by Rev Glyn Evans. 15 Oct Plymouth FAITHS, THE ENVIRONMENT AND THE WORLD BANK - Roland Levinsky Building Drake Circus Plymouth - 7:30pm - 9pm, - Speaker - Tony Whitten, Senior Biodiversity Specialist at the World Bank, South East Asia and the Pacific Region; Chair of the Faiths and the Environment Committee at the World Bank. Chairperson and host - Jonathan Marshall of Plymouth Faiths and Cultural Diversity Centre. Venue - Roland Levinsky Building, Drake Circus, Plymouth. Admission free. Contact nos. 01752 254438 or 01752 511059. Church leadership teams or nominated church members to discuss and explore the subject of faith and the environment at 1.30pm at Tonbridge Baptist Church. - The workshop will be run by Dave Bookless who is visiting Tonbridge as part of Hope 2008 to speak on 'Creation Care' at a joint Tonbridge churches service the following evening. - Paul Turner, a member of Tonbridge Baptist Church , who is Lloyds TSB's Head of Sustainable Development will support Dave by covering the section on environmental challenges. 2. The Physicist, with Russell Stannard -Russell Stannard is Professor Emeritus of Physics at the Open University, and a well known broadcaster. This service explores how the awe and wonder inspired by the study of the universe has shaped the faith of one of the most effective communicators and popularisers of science. 19-26 Oct UK One World Week : This year's theme: "Growing Together". Eco Labyrinth To celebrate One World Week in October, there will be an Eco-Labyrinth in the Church along with other supporting events - an opportunity to reflect on our place in God's creation.- The Eco-Labyrinth will be open Monday 20th - Friday 24th October 10.00 am - 8.00 pm . Saturday 25th October 9.30 am - 12.30 pm - The theme will be Worshipping the Creator, and consist of eight stations based on the first chapter of Genesis. We invite you to take a personal interactive journey through the creation story. This will highlight the responsibility we all have to care for our planet, and emphasise our response to climate change. Apple Day An annual celebration of the huge variety of apples grown in Britain and the richness and importance of traditional orchards. 21 Oct St Paul's Cathedral, London Stories of Evolution - 21 October 2008 , 6.30 - 8.00pm - Our bodies are made of the same stuff as the planet itself and every species, including humanity, came into being against powerful odds. What does this say to us about creation and our place in it? Evolutionary biologist Steve Jones, palaeontologist Simon Conway Morris, theologian Alister McGrath and Biblical scholar Diana Lipton will discuss the place and role of human beings in the web of life. 24 Oct Edinburgh Climate Change: Effective Communication - A course that is about communicating climate change to different people in different situations. 10.00-16.30 - The Melting Pot, 5 Rose St, Edinburgh, Scotland, EH2 2PR. 25 Oct Exeter a 'Creation Time' service in the Justice, Peace and Creation Chapel at Exeter Cathedral at 12 noon (organised by Devon Churches Green Action). Shrinking our Footprint - 2 nd Southwark Diocesan Environmental Conference -Keynote address from: Michael Northcott author of 'A Moral Climate: The Ethics of Global Warming' - Plus Workshops and Discussion Groups - 10am to 1.30 pm - (Registration and refreshments from 9.30am ) - The Crypt, St George the Martyr Church - Borough High Street , London , SE1 - (opposite Borough tube station) - 020 7939 9412 or email caroline.gibson@southwark.anglican.org Includes workshop on CEL. 25 Oct Oxford 10am-3.30pm. Enough is enough revisited. In a global community, how do Christians define and live "enough"? Venue: CMS, Watlington Rd., Oxford OX4 6BZ. Please send in the registration form by 14th October. Space linited, early booking recommended. 4. The Botanist, with Ghillean Prance - Sir Ghillean Prance FRS is Director of Science at the Eden Project, and was Director of Kew Gardens until 1999. This service explores how a lifetime of studying the natural world has influenced the religious belief of one of the world's leading botanists. 26-27 Oct Aldermaston Trident Ploughshares' "Big Blockade" at Atomic Weapons Establishment at Aldermaston. Christian CND are organising an all-night candle-lit vigil at Tadley Gate, AWE Aldermaston, from 9pm Sunday 26th October to 7am Monday 27th October, broken into 2 hour watches,followed at 7 am by a procession around the base starting with short liturgy. Join all or part of this witness. At each gate there is a stop for a rest and a liturgy at a set time so that people can join at any time during the procession. Should finish at about 4 pm with final prayers. The idea is to support the Trident Ploughshares blockade with a Ring of Prayer and to provide an alternative witness for those not wishing to take part in arrestable actions . For more information contact: Christian CND , Mordechai Vanunu House, 162 Holloway Rd, London N7 8DQ Tel: 020 7700 4200 or christians@cnduk.org . 28 Oct Bentham, N Yorks. Bentham Town Hall at 7.30. - 'Combating Climate Change' organised by the BEST (Bentham Environmentally Sustainable Town) Group with guest speaker Dr Clive Story. After an interval with light refreshments discussion groups will take forward suggestions about what can be done locally and personally. 29 Oct York Ebor Lecture Professor Tim Gorringe, Professor of Theological Ethics, University of Exeter York Minster There are still some tickets left for the lecture by Professor Gorringe at York Minster. He will be speaking on the subject of ‘Silence in Heaven: Reading Climate Change Through the Book of Revelation.’ Professor Gorringe will be reading parts of the Book of Revelation and considering the text in relation to climate change. Tickets are free but must be booked in advance. To book a ticket email: eborlectures@yorksj.ac.uk telephone the ticketline on 01904 876474 or write to: Ebor Lectures, Faculty of Education and Theology, York St John University, Lord Mayor’s Walk, York YO31 7EX. 12 Nov Chelmsford Cathedral Keene Lecture in the Cathedral - 'The Scientific Climate' with the Revd Dr John Polkinghorne, Particle physicist and theologian, winner of the Templeton Prize, 2002. Admission free - retiring collection. 15 Nov Petersfield Hampshire 10am at the URC Church Hall, College St., Petersfield. Prof. Roland Clift, CBE talking on "Food or Fuel? The future of World Agriculture". Info: 01730 266107. Feeding the Ten Billion - 7.30 pm Fulmodeston Village Hall, Norfolk . A Public meeting will be chaired by Lord Hastings. Issues of the organic movement and new genetics will be explored by Prof. Martin Wolfe (Wakelins Agro-Forestry), Prof. Alison Smith (John Innes Institute) and Mr. Andrew Thurston (Morley Research Centre). 28 Nov Cardiff Sustainable World, Sustainable Population - Shrinking the Footprints. Round table consultation, Future Inn, Cardiff Bay 10am - 4pm. Chaired by Dr Rob Humphries, Open University Wales and Reverend Robin Morrison, Church in Wales. Contact Lisa Martin on 029 2034 8252. 30 Nov BBC1 'Christmas Voices', 10am, BBC 1 television, features Mark Dowd of Operation Noah. Lauriston Jesuit Centre, 28 Lauriston Street, Edinburgh EH3 9DJ , On Holy Ground - The Environment Series - First Talk: Alastair McIntosh & Vérène Nicolas - A Spiritual Response to Present Times. http://www.lauriston.org.uk/envirseries.pdf Do visite their site - They have lots of speakers lined up for 2009. Christian Ecology Link is organising a Service of Worship at Hinde Street Methodist Church, 19 Thayer Street, London W1U 2QJ, at 11.30am on Saturday 6th December 2008 to coincide with the Campaign Against Climate Change's national climate march 2008. The doors of the church will be open from 10am and coffee served from 10.30am. If you can help lead the singing please be at the church by 10.30am. Mark Dowd, campaigns strategist for Operation Noah, will be the main speaker. Rev Paul Trathen, will lead a time of reflection and prayer. 13-14 Dec London The 2008 FAIR TRADE FAIR at the Central Hall, Westminster, in Parliament Square, London SW1. There will be many exhibitors displaying an incredible range of gifts from all over the world and we would love to see you there. The Fair will be open on both days from 12 noon to 6pm. 100 Events between 1 Jan and 30 April 2008; 201 Events between 1 Jan and 30 Sept 2008 ; 300 Events between 1 Jan and 31 Dec 2008.